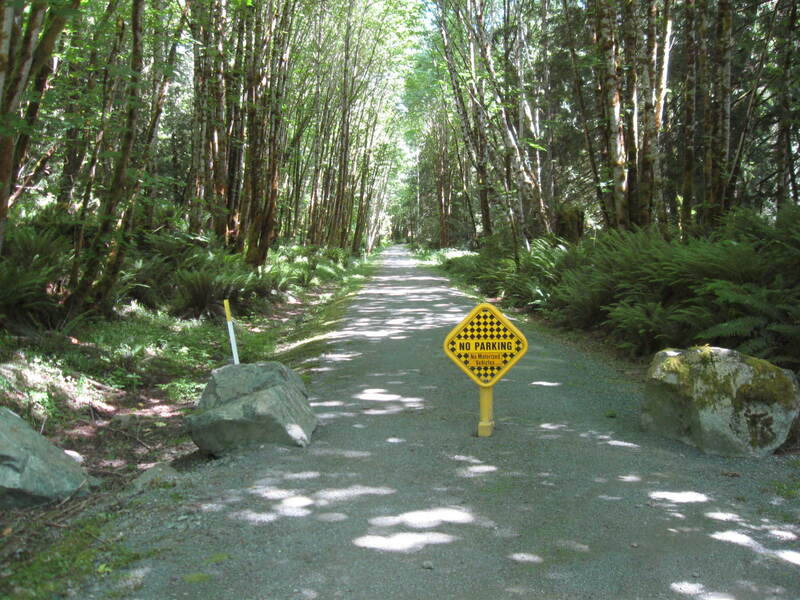 When folks in Port Renfrew say that they are driving “up” to Lake Cowichan, they do mean “up.” After a gentle start today from the campground on a relatively level Road for about 8 km, things changed! The road gradually started upwards with very few downhills and climbing was the order of the day. The last few kilometres into Mesachie Lake on a good downhill were well deserved after climbing to about 400 metres at the highest point. the road was quite boring at first as it traverses through bush and views are minimal, but as the elevation increased so did the vistas. 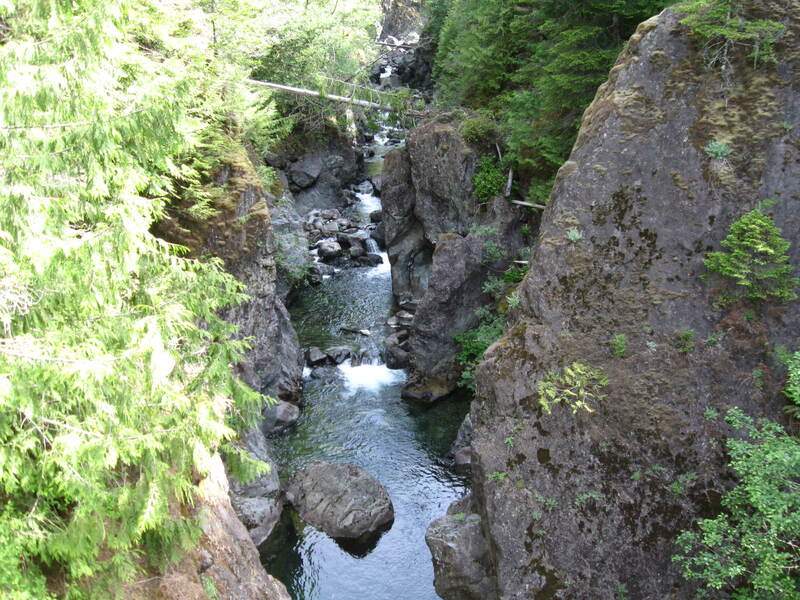 Many views of Harris Creek and Harris Canyon were available and well worth the effort to reach them. 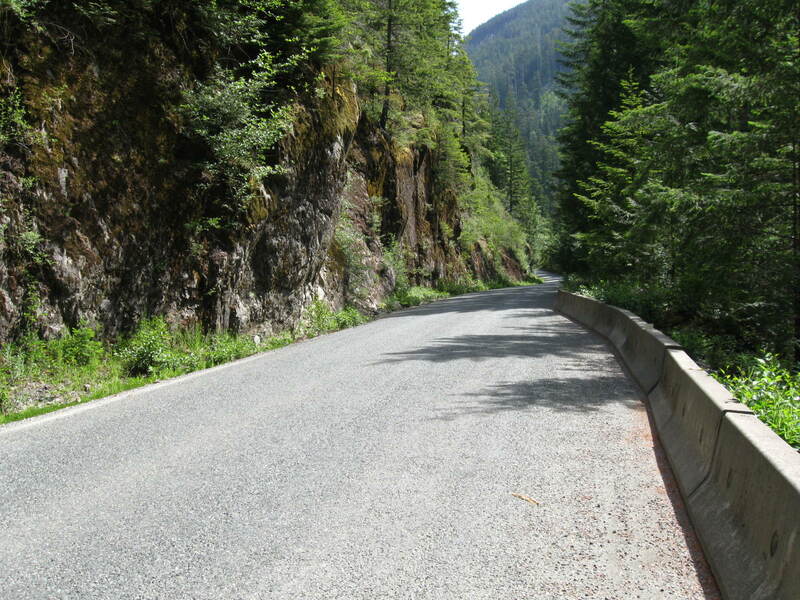 Once more, logging trucks were my main companions, but they were very respectful of my position on the road and gave me ample space – good job too, as one wrong move on my part could have meant disaster as there are no barriers on this road to prevent a steep drop into the canyon. 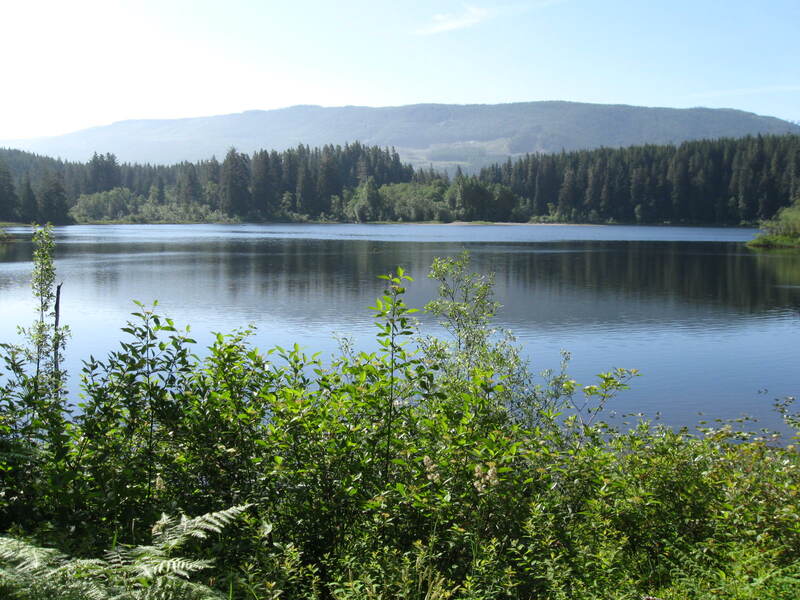 All was well though and a much deserved second breakfast in Lake Cowichan prompted me to ride the Cowichan Valley Trail (actually, the old E&N railbed) to Duncan, where no campsite could tempt me after the tiring 90 km today and a motel room was the order of the day. And not surprisingly so – once settled into my nice room I figured out that just the last two days were over 11,500 ft of accumulated climbing! As you can see, some great views! AdamK & (I closed my eyes some of the time!) Basil. 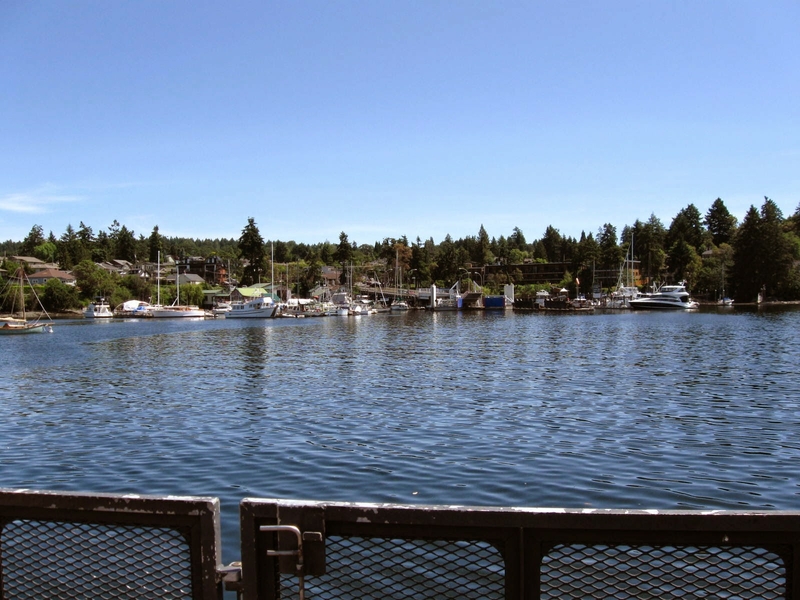 Not far to ride today, so a leisurely start for the ride to the Mill Bay Ferry and then on to Sidney from the ferry landing at Brentwood Bay. A complimentary breakfast at the motel included waffles, so I loaded up on them anyway, even though today’s ride would not be as taxing on the body as the previous two days! 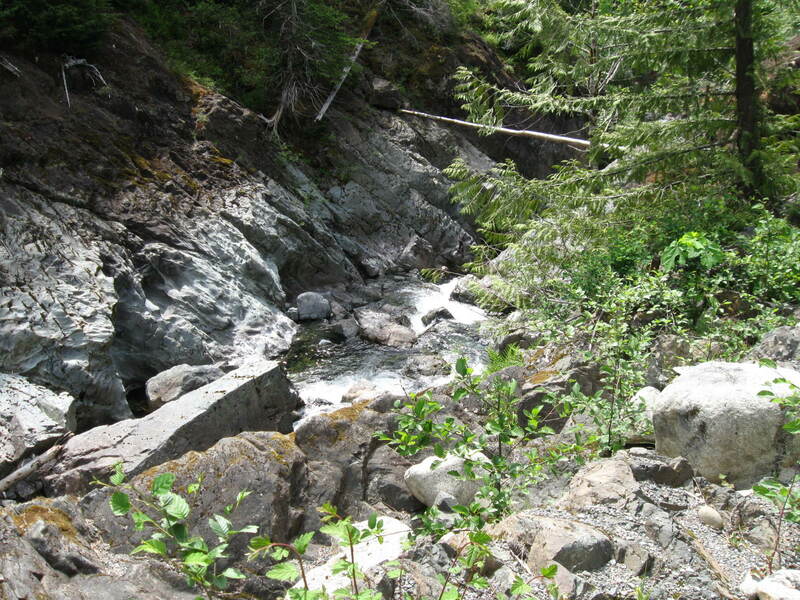 I set off down Highway 1 towards Mill Bay. The highway has a good shoulder, but I soon got fed up with the traffic noise so turned east onto Koksilah Road to join up with the quieter roads of the “Rotary Route.” A little hillier than the highway in places, but a very pleasant ride south to Kilmalu Road at the north side of Mill Bay. 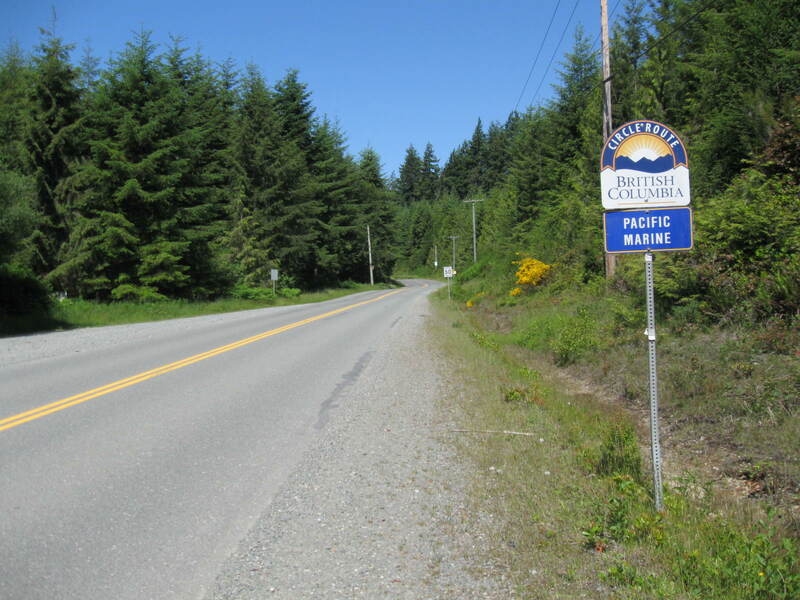 A short jaunt back on the highway to the turn off at Mill Bay Road which runs adjacent to the ocean and leads to the ferry dock. It was a short wait for the ferry and I chatted with some other cyclists who were waiting too – this is a popular ferry for local cyclists as it enables a circle route from Victoria up the Malahat Mountain then a return via the ferry and other roads on the Saanich Peninsula back to Victoria. 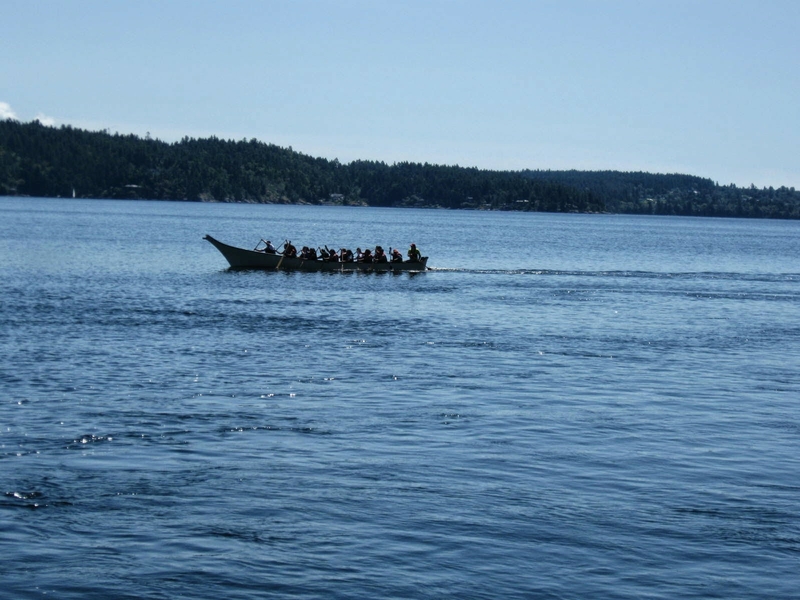 I was lucky enough to see and take a photo of one of the large First Nations canoes out on the water – quite impressive and moving quickly through the water with the fast strokes of many paddlers. 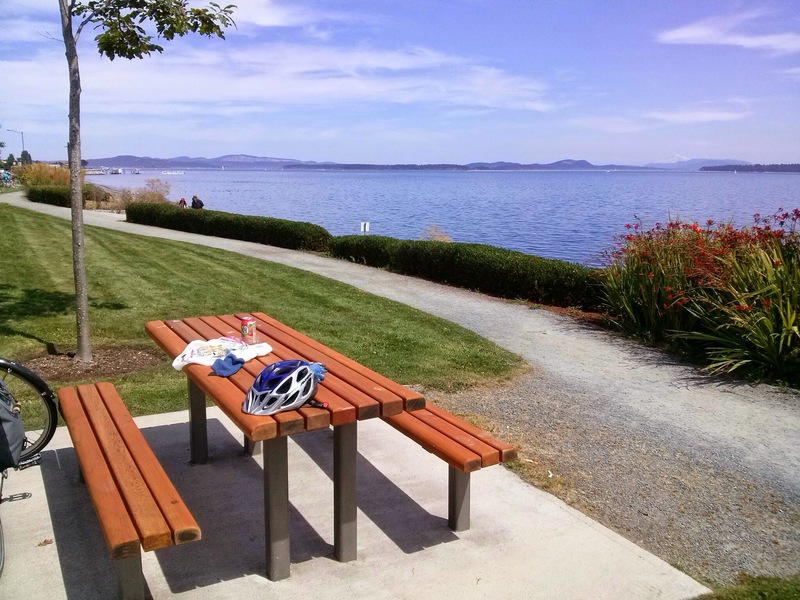 Once in Brentwood Bay, I rode the short climb to the village and stopped at a Subway to pick up a sandwich and high-tailed it back to the Sidney waterfront where a picnic table was my choice for my “al fresco” lunch. Only a short ride from there for me and I was home! AdamK and (Glad to be home) Basil. 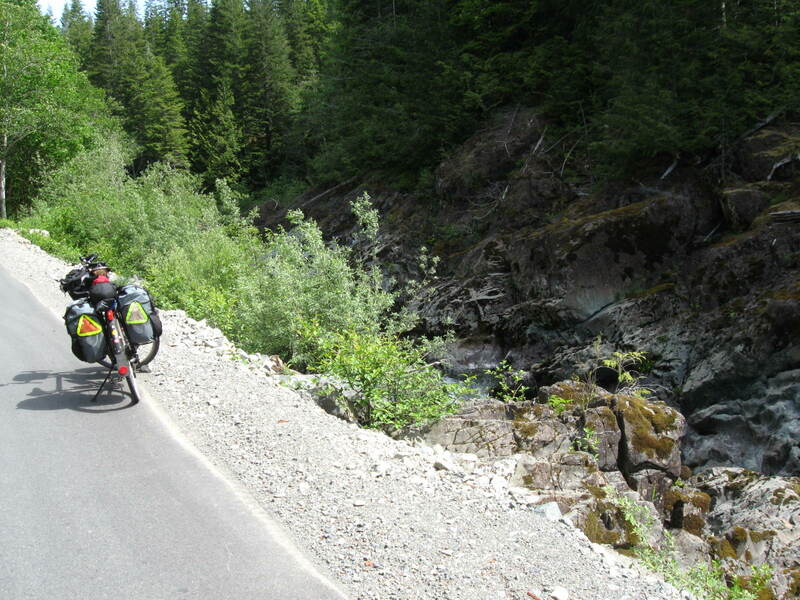 This entry was posted in Cycle Touring, Pacific Marine Loop Tour and tagged Galloping Goose Trail, Lochside Trail, Pacific Marine Route, Sidney, Sooke, Victoria on June 4, 2014 by AdamK's Cycling & Travel.